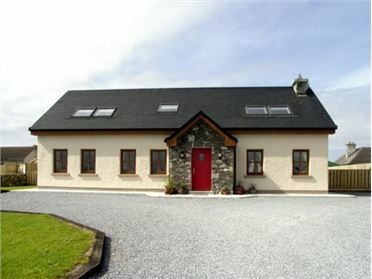 Gallivans is a quality detached cottage set on a hillside, 1.2 miles from the village of Caherdaniel, County Kerry. 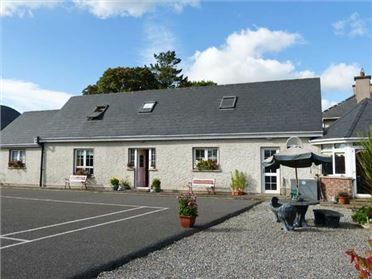 This cottage sleeps nine people in four bedrooms, consisting of two ground floor doubles with en-suite facilities, a twin and a family room with a double and single bed, as well as a shower room and ground floor basin and WC. 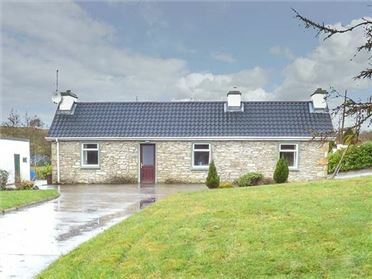 The cottage also has a kitchen with breakfast bar and dining area and a sitting room with open fire. Outside is ample off road parking and a patio with furniture. 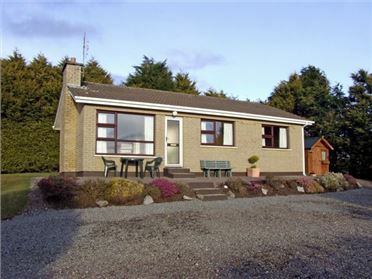 Gallivans is an ideal base for families and friends who wish to explore this beautiful area, with the Ring of Kerry, unspoilt beaches, and delightful villages and towns nearby. Four bedrooms: 1 x ground floor double with en-suite bath, shower over, basin and WC, 1 x ground floor double with en-suite shower, basin and WC, 1 x twin, 1 x family room with 1 double and 1 single. Shower room with shower, basin and WC. Ground floor basin and WC. Kitchen with breakfast bar (seats 3) and dining area (seats 6). Utility. Sitting room (seats 5) with open fire.